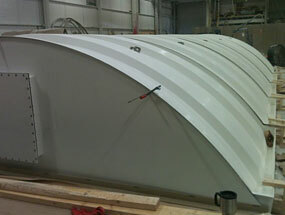 Perry Fiberglass Products manufactures high quality FRP Ductwork products including Biofilters and Biological Filters. 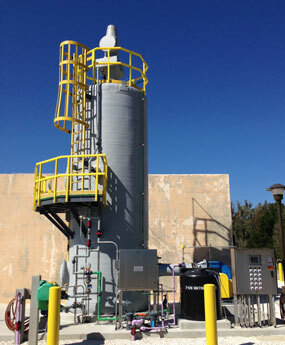 Today, Perry Fiberglass is at the forefront of municipal odor control with our biofilter and biotrickling filter technology for the elimination of hydrogen sulfide (H2S) and reduced sulfur compounds - with over 125 installations in the United States. Perry biofilters and biotrickling filters are available as both modular and built-in-place systems and can be sized to meet the air flow rate and the space requirements of a facility. At the heart of each of these solutions is one of Perry’s unique engineered media(s): BIO-CUBE, BIO-CLEAN, BIO-FILL AND BIO-SORB. Perry offers biological solutions for the removal of odors, H2S, VOCs and HAPs. Our systems can treat air flows from as little as 100 cfm to greater than 1,000,000,000 cfm of air and are available in many sizes, configurations, and options. Perry’s Biotrickling Filters are designed for demanding applications of high concentrations of H2S or other water soluble compounds. 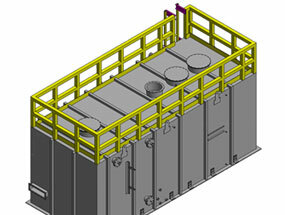 We offer a range of structures and random packed medias to suit any application. Optimized mass transfer of compounds. Treatment of higher odor loadings. Enhanced removal of targeted odor compounds. Complex odors associated with various municipal wastewater treatment processes can be difficult to treat. That is why Perry offers a robust and cost effective approach by combining our biotrickling filters and biofilter technologies into one. 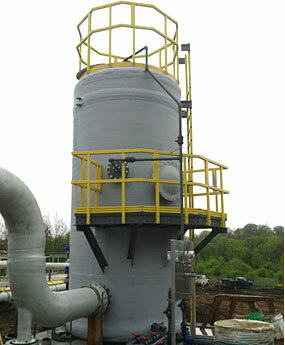 The first stage consists of a customizable biotrickling filter that is used as a roughing scrubber to remove elevated hydrogen sulfide concentrations, allowing the second stage biofilter to concentrate on the more difficult organic sulfides and VOCs. 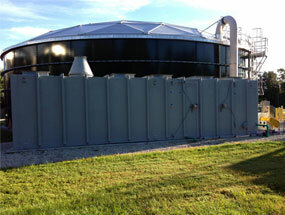 Perry offers a wide range of biogas systems. 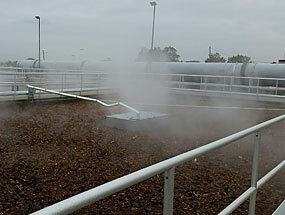 Each biogas system is engineered for a specific application. Our team of experts will work with you to find high quality, cost-effective solutions for your biological and biofilter odor control system.